What if you were to arrange your wardrobe, and imagine that all you had to do was to fill in the required measurements for the chosen containers and to have them printed! If your children are to prepare a battle field model for school project, they could print each soldier, weapon and equipment using the same printer. All this is possible with a 3D printer. It’s easy to make complex items with moving details and bewildering design. Soon enough it will be available in every house. Let’s try to answer following questions “what is 3d printing?” and “how does 3d printing work?”. 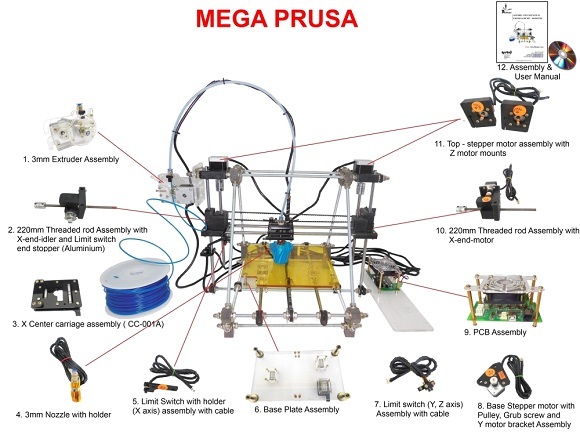 The whole family of 3D printers and the equipment can be called additive manufacturing, AM for short. All of them are a means of creating things by printing them layer by layer. AM has had a long history, throughout which it has had various names, including stereolithography, 3D laying, 3D printing. The last one seems like the most common term. One can notice the principles of AM in caves; as years go by water leaves layers of mineral strata which grow to from stalagmites and stalactites. In contrast to these formations 3D printing is faster and sticks to a plan created by special software. The computer controls the way a 3D printer creates new layers. 3D printing and additive manufacturing are developing. This technology is widely used in medicine, dentistry, spacecraft and automobile building. They are beginning to use 3D printing to produce furniture and clothes as well. We have given an outlook on 3D printing, including its history and the numerous ways it can be used. You can also print 3D print the models you like at home. Now it’s time we gave a brief outlook at the way 3D printing started and the ways it is developing. The end of the 1980s and beginning of the 1990s was the earliest time additive manufacturing was used in rapid prototyping. Prototypes offer to examine an object closely and to test it prior to production of the thing. Rapid prototyping, known as RP, suggest much quicker prototype production, often it would take several hours or days, depending on the design. In RP models are created with the help of computer-aided design, known as CAD, soft, machines following that model should define the way of creating the object. 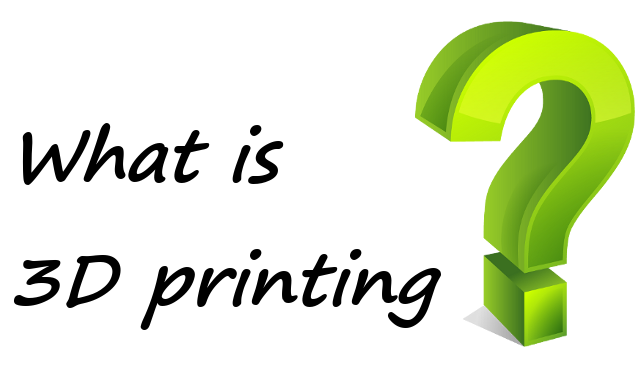 So the procedure of constructing things printing its layers is known as 3D printing. The initiation of 3D printing took place in Massachusetts Institute of Technology and company named 3D systems. At the beginning of the 1990s MIT originated the practice they further labeled with the name 3D printing, certified as 3DP and that’s how 3d printing history began. In February 2011 MIT has awarded licenses to 6 corporations and suggested 3DP for its products. For more information go to following article History of 3D Printing. One of the 3D printing techniques is direct (straightforward) 3D printing. Direct 3D printing employs jet techniques, which is used in 2D printing since the 1960s. 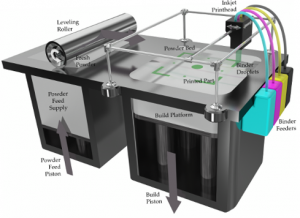 Just as in a 2D printer, nozzles of a 3D printer move to and from to distribute the liquid. However 3D printer nozzles or the printing side go up- and downward, so lots of layers over the same surface appear. What’s more, 3D printers use no ink, instead they spread waxes and plastic polymers that harden, thus forming newer cross-sections. Binder (or linker) 3D printing makes use of inkjet nozzles to employ a fluid forming new layers. Contrary to direct printing, however, binder printing employs 2 different materials separately that mix together forming new layers: dry powder with dissolved glue or binder. Binder (or linker) 3D printer takes two gaps to make each layer. 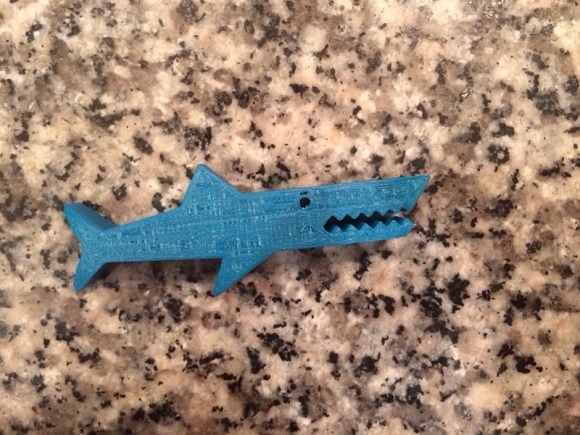 For more information go to following article Direct and Binder 3D Printing techniques. First – the production of a 3D model with the help of computer-aided design software. The software is likely to give you some suggestion or even a clue concerning the structure of the ultimate object applying scientific facts about utilized materials. That will help to predict the behavior of the object under various conditions. Second – transformation to SLT (standard tessellation language) – the sketch in CAD format is converted to SLT, which is the format initiated especially for 3D systems in 1987 so as to be used by SLA – stereolithography apparatus. These SLT files are sometimes used together with proprietary file kinds like ObjDF or ZPR. Third – removing to AM machine and SLT file operating. An SLT file is copied to the computer operating a 3D printer. That’s the same as if you were to install a 2D printer. Please follow the link to find out about the rest from 8 steps of 3D Printing Process. Additive Manufacturing (AM) is a term to describe set of technologies that create 3D objects by adding layer-upon-layer of material. Materials can vary from technology to technology. But there are some common features for all Addictive Manufacturing, such as usage of computer together with special 3D modeling software. First thing to start this process is to create CAD sketch. Then AM device reads data from CAD file and builds a structure layer by layer from printing material, which can be plastic, liquid, powder filaments or even sheet of paper. The term Additive Manufacturing holds within such technologies like Rapid Prototyping (RP), Direct Digital Manufacturing (DDM), Layered Manufacturing and 3D Printing. There are different 3d printing methods that were developed to build 3D structures and objects. Some of them are very popular nowadays, others have been dominated by competitors. 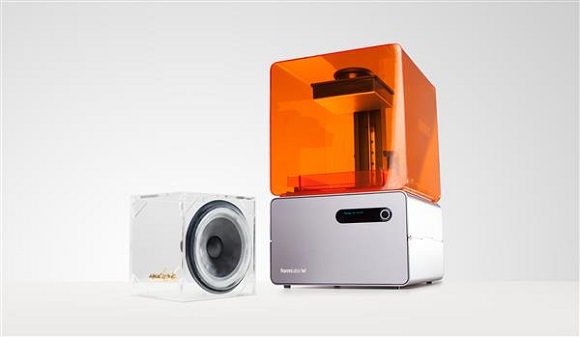 Follow this link to find out more about Types of 3D printers or 3D printing technologies overview. 3D Printing community brought up a big variety of different filament types to use for their projects. So how to choose the right type and what everyone needs to know before planning the whole process of printing. Acrylonitrile Butadiene Styrene (ABS) was the most popular material used to print first 3D models few years ago and it is extremely popular now as well. This material is very durable, slightly flexible lightweight and can be easily extruded, which makes it perfect for 3D printing. It requires less force to extrude than when using PLA, which is another popular 3D filament. This fact makes extrusion easier for small parts. The disadvantage of ABS is that it requires higher temperature than for example PLA material. Its glass transition temperature is about 105°C and temperature 210 – 250°C is usually used for printing with ABS materials. Also another drawback of this material is quite intense fumes during printing that can be dangerous for people or pets with breathing difficulties. So 3D printer needs to be placed in well-ventilated area. Also good advice is to avoid breathing in the fumes during printing. Considering the cost of 3D materials ABS is the cheapest, which makes it the favorite in printing communities until now. 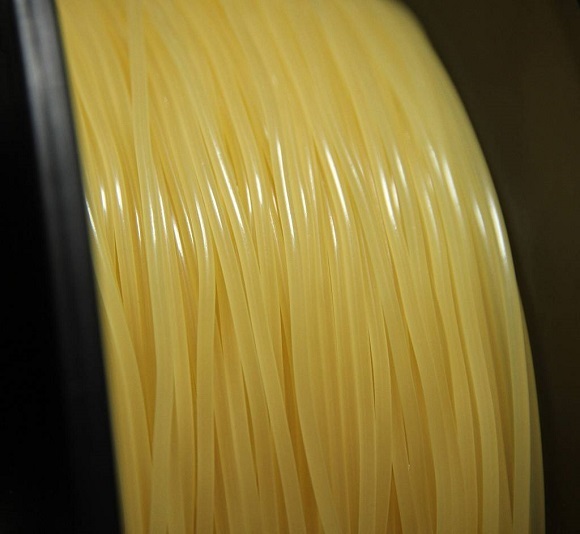 Polylactic acid (PLA) is another well-spread material among 3D printing enthusiasts. It is a biodegradable thermoplastic that is derived from renewable resources. As a result PLA materials are more environmentally friendly among others plastic materials. The other great feature of PLA is its biocompatibility with a human body. The structure of PLA is harder than the one of ABS and material melts at 180 – 220°C, that is lower than ABS. PLA glass transition temperature is between 60 – 65 °C, so PLA together with ABS could be some good options for any of your projects. PVA filaments (Polyvinyl alcohol) are easy to print with and used to support an object during printing process for those models with overhangs that normally would not be printed. This type of filament is a great material for a 3D printer with dual extruder. It is based on polyvinyl alcohol so it has pretty good properties, the main of them are non-toxicity and biodegradability once dissolved in water. Usually PVA dissolves in cold water but the process would go faster in hot water. Please read technical specification of the material though. 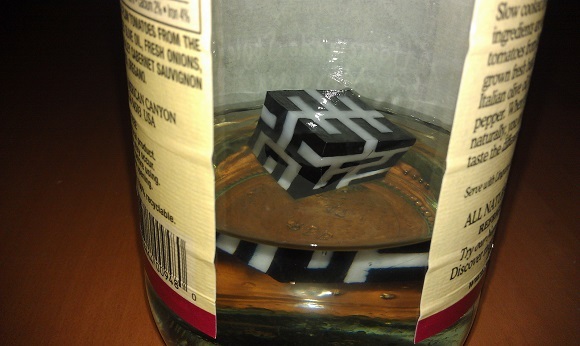 Manufactures usually do not recommend to dissolve the material in water with a temperature higher than 70˚C (158˚ F). Because of its high extensible structure PVA filaments can be considered only for restricted application. It can be used on all common desktop FDM or FFF technology 3D printers and requires a heated build platform (HBP) or simply heated bed set at ±55-60˚C. Do not exceed printing temperatures above 225˚C. Follow this link to find out more about 3D Printer Filament Types Overview. .STL file format probably is one of most popular 3d printer files formats. It is supported by big variety of 3d printers and most of files that you can find in 3D model repositories will be in that format. STL stands for STereoLithography or Standard Tessellation Language. Initially it was one of main file formats in CAD software created by 3D systems. Currently this format can be found in many 3D printing software packages, it is simply and easy to output and probably that is one of reasons why it became so popular. .OBJ (Object Files) is another format of 3d printer files which is also popular in 3D Printing. Initially it was used in Advanced Visualizer animation package developed by Wavefront Technologies. OBJ file represents 3D geometry alone and may contain several different attributes most common of them are: vertex normals, geometric vertices, polygonal faces and texture coordinates. Objects files as STL files can be either in ASCII (.obj) or binary format (.mod). 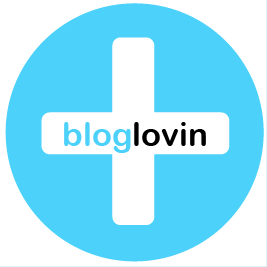 More technical information about OBJ format can be found here. To find out more details about 3d printer files and places where it can be downloaded read the following article – Places to download 3D printer files and files formats overview. Another main thing besides 3D printers and 3D printer filaments are 3d printer files that contain data about a model that can be printed. Such 3d printer models created using special 3d printing software or 3d cad software. There are a lot of different programs that can be used for it. Some of them are available for free and can provide less options than commercial 3d modeling software that can cost a lot of money. When we say 3d modeling software it does not necessarily mean that it can be only used for 3d printer models creation. Such software can be used for many different 3D modeling ideas such as 3d home design and etc. Google SketchUp – this is a free 3D modeling software from Google. SketchUp tools let you create your models easy and even without having to figure out how. Blender – This is a free and open source 3D modeling software. It works on various operating systems such as Windows, Linux, Mac OS. The main goal to create a free, useful software product that allows to complete 3D creation for everyone either professional artists or beginners. 3DCrafter – this a free real-time modeling software that allows you to create complex 3d models using simple 3d primitives. Its various tools and intuitive drag-and-drop approach make the process of 3D modeling easy and fun. The standard version is free for downloading, but you may also buy Plus and Pro versions. Following next link you can find more information about different 3d printing software.